For those who are looking to give their hair a break from thread and weight, and are looking for the optimum protective style I am offering my hand-sewn perfect net system. It’s a weaveable piece that is custom fit to your head that cuts your appointment dramatically, protects your hair and gives your tresses a rest. It requires two visits….the first visit less than 20 minutes, and the second about an hour to an hour and a half at the very most. Here’s a break down of how it works. 1. You’ll need to bring about 3/4ths of the hair you plan on using for your weave. A thin breathable strong but light net is custom cut to fit on 3/4ths the size of your scalp. This can be done with your natural hair in a low ponytail. 2. You’re all done for the first visit! From there, I hand sew the hair onto the net, spaced in less than half an inch increments, creating a perfectly smooth install. 3. Second visit, your hair is cornrowed in a braid pattern, but the Perfect-Net is sewn to only anchor braids around the perimeter. The vast majority of your hair under Perfect-Net stays untouched. 4. From there, the very top and sides are artfully sewn to complete your style. This method is perfect for those trying to give their hair a break, and those who’s hair is experience breakage from normal sew in weaves. for those who have fine hair and thinning at the crown, this is also a great system. It is also great for those with limited time to get weaves, or people who are very tender-headed. 1. Is this as flat as a traditional weave? Because it isn’t contingent on whether or not you have braids in that area, it is actually flatter. It also doesn’t require doubling of tracks which can add bulk to traditional weaves. It will be the flattest weave you’ve ever had. No, it’s very secure on the anchor braids. it feels elastic at most around the rest of your scalp, but right at first it may seem strange that you aren’t experiencing pain afterwards. It is custom fit to your scalp and fits your head like a glove. Almost like contact lenses:) It is lighter and more comfortable than a closure and is much cooler and lighter than a wig or hair piece. 3. Can I touch/feel my scalp? Yes, you can scratch and touch your scalp with ease. It also breathes. It is similar to having a fish net stocking on your head, but it’s not as fragile. 4. How long does it take to remove? It takes less than 10 minutes to take it down. 5. Do I have to get the hair sewn back on the net after taking it off? Unless it needs to be repaired, you do not need to have it sewn back onto the net again. You will only cut the threads around the perimeter of the anchor braids and leave the sewn on tracks on the net. It doesn’t get lose, and stays tight. The Perfect-Net can use it over and over again for each weave. This is why it is best to use very HIGH quality hair. It’s a custom fit weaving system, and with the right hair it can last more than a year. There’s nothing worse than wasting money and hours on a hair system that has tangly, shedding hair on it. 6. Is it a regular hair net? No, it’s a custom net made just for weaving. Adding additional tracks/finishing the weave. Cut and style Hair is not included for this price and must be provided by the client. Remember, bring the most beautiful and best hair, this is going to be a custom piece made just for you! Remy Hair included Perfect-Net pieces are between 500 to 600 a piece and require a 50% deposit at the first visit. They are supplied with 8 ounces of hair. There’s curly, straight and wavy varieties. 8. Why does it cost more than a traditional weave? 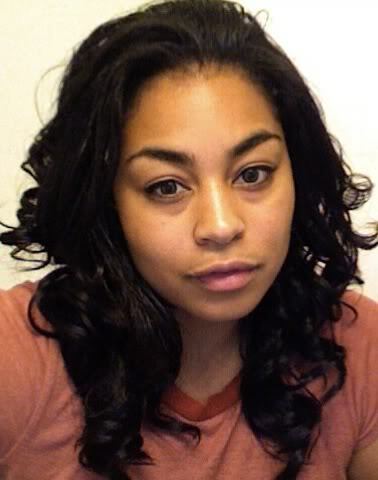 -Install time for your Perfect Net weave is only about a half an hour to an hour instead of the usual 3 to 5 hours. -After purchasing the unit, I charge 45.00 for a return appointment with a Perfect-Net unit. My traditional weaves are in between 100 and 120, so you save more than half of both your money and time. -it is flatter than a traditional weave, hand sewn, pre cut and custom fitted. 9. Can I wash it? Style it? Brush it? Yes, you can wash, condition, style and brush it with ease, just like you would your own hair. Just remember to blow dry your scalp after washing. You can also oil your scalp. It is not like traditional wig caps, there’s plenty contact to your scalp. Other wig caps and stocking caps trap in moisture and heat, this does not. 10. How can I make an appointment? Email Tam at weavemastertam@gmail.com or call at 818-445-3348. 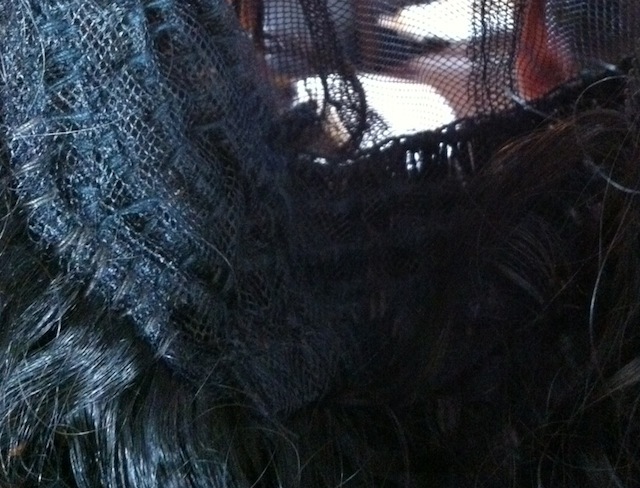 Next Post What is Weavemaster Tam Wearing This Week! ?